CAPE CORAL, Fla. -- Take a look at which 90’s television star was spotted in Southwest Florida recently! 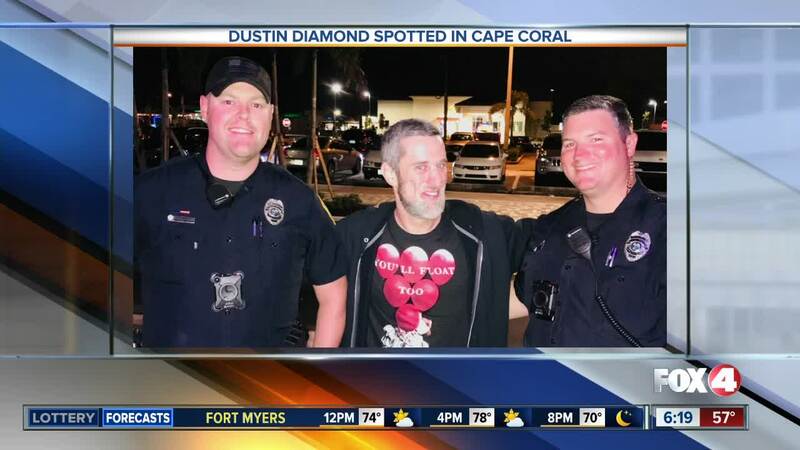 Actor Dustin Diamond, also known as ‘Screech’ Powers from Saved By The Bell, was seen hanging out in downtown Cape Coral. Two CCPD officers just couldn’t pass up the opportunity to grab a pic with one of their favorite TV stars from their childhood. The actor and comedian is in Southwest Florida for a stand-up performance in Fort Myers on Friday.